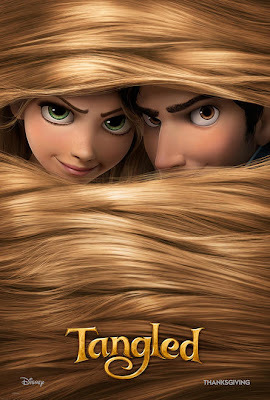 One sheet & featurette for Disney's 'Tangled'. The featurette takes an in-depth look at the film's atmosphere and environment, and how it draws inspiration from not only animated Disney classics like Cinderella, but Disneyland itself. It also features interviews with the film's production team.